Just a quick post for those of you that use IM+ on the BlackBery PlayBook. The app has been updated overnight to version 1.4.4 and although many of you will not notice any difference those of you that use two of the supported instant messaging services will do. 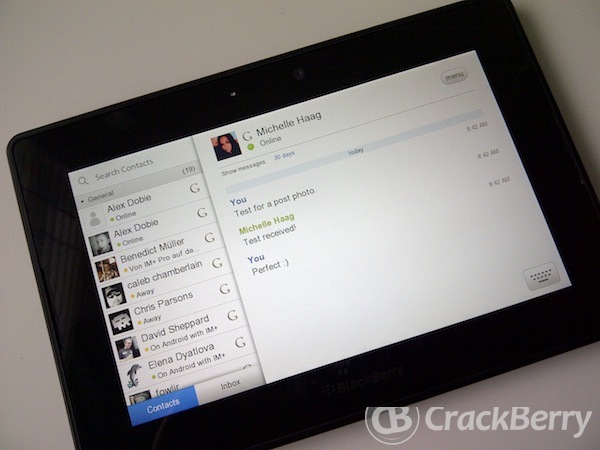 At least if you are a Yahoo or MSN user you will now get full use of the app.